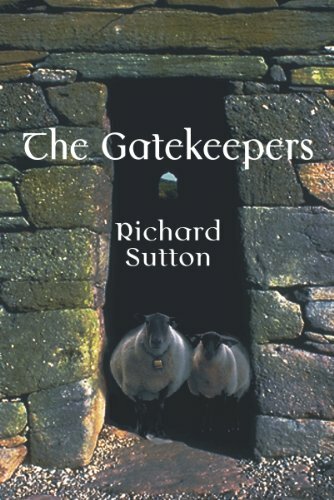 Today I have Richard Sutton, author of The Red Gate and The Gatekeepers here to talk about promoting. What types of promoting do you do? I try to promote through traditional means as well as the newer venues. My advertising and PR background has served me well for writing press releases about my work , launches, etc. My design background has helped a great deal in book and cover design and preparation of collateral promotional materials such as postcards, bookmarks, business cards and our websites. I utilize online forums, reader sites and workshops to help establish my name and work. I use my real name as my login on most of these. Is most of your promoting online or offline? Right now, I’d say I’m about 85% online. The traditional promotion, including letters and sample books, continues, especially as part of our online business in American Indian Arts. I always include postcards of my writing with each package shipped. It actually works, too. I’ve been fortunate to get some loyal readers from that effort, one of which is now a trusted Beta Reader. Primarily online, especially in searches for niche reader interest groups, as my books are not what would be considered a mainstream genre. Local news articles have resulted in a few local reviews, too. Do you read reviews of your book? Of course. I have been really grateful for every review, even/especially the ones that are not so flattering. As an Indie Author, there is always lots of opportunity to miss something, and one review was sent in by a reader who really enjoyed the story, but had inadvertently been shipped an unedited edition. That made my eyes open pretty wide, I can tell you. I am also very happy when a reader lets me know anything they would like to see the characters do in future work. I just added a new section to my blogsite, written by the Main Character in the first two books, to address some questions from the readers and loose ends in the stories. The contact with readers and other writers that it generates. Talking about myself. Like right now! Writers can be pretty self-absorbed anyway, but it’s a hard job that someone has to do. 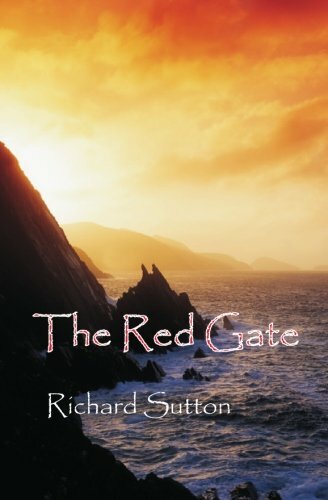 Richard Sutton was born in California in 1952 and has lived in almost every Western State from Idaho, to the coast and from New Mexico, north. He’s been writing in one form or another since High School. After college, he was an Oregon commune guitar-playing goatherd, tree-planter, cannery worker, health food store manager and artist. 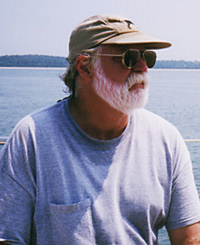 He also worked as a ski mechanic and as a frame carpenter before making the move to New York where he worked as a receiving manager for a fashion company, a ski retailer before building his career in advertising design and freelance copy writing, eventually establishing a design studio on Long Island. Finally, he turned Indian Trader full-time in 1989, operating his family business in authentic Native Indian arts successfully for more than 20 years before completing his first novel. Several of his short stories were first outlined in the margins of his gallery daybook. One of the first of these was published in the Journal of The Santa Fe Writers Project. The initial drafts of his first two novels were likewise, written from behind the cash register, during slow spells. “I just keep finding new hats whose fit I like.” says the author. He’s settled snugly into the writer’s hat and has several new novels in the works. He met his wife on Canal Street in NY’s Lower East Side in 1973. They have lived in New York and in New Mexico ever since, enjoying sailing, their family and their cats.